All answers and explanations are available ! Arrange the following series of compounds in order of increasing lattice energies. smaller the radius the stronger the bond. Write Lewis structures for the following compounds. Match compounds with the same Lewis Structure. All must be correct to get credit. 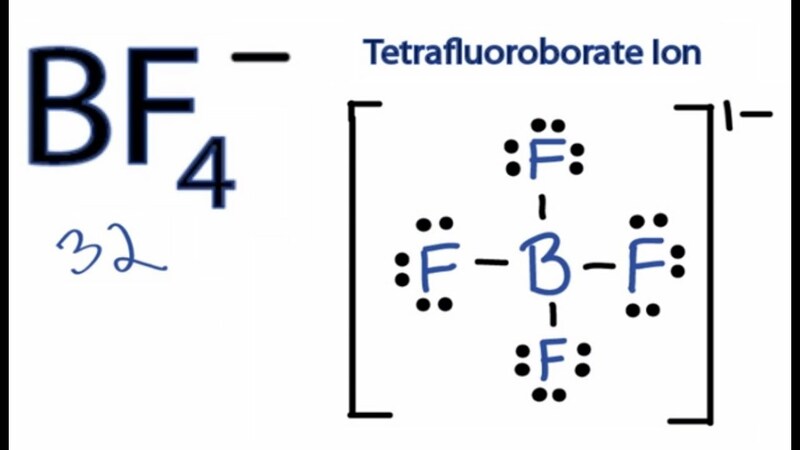 Write the Lewis structure for BF4- (each F is bonded to B). How many single bonds are there? Write the Lewis structure for CH2CHCHO . How many single bonds are there? Help--skeleton structure: CH2-CH-CHO, meaning the first C is bonded to 2 H's and a 2nd C. The 2nd C is also bonded to a H and the 3rd C. The 3rd C is also bonded to a H and an O. How many double bonds are there in CH2CHCHO? How many triple bonds are there in CH2CHCHO? Write the Lewis structure for CF2CF2 . How many single bonds are there? Help--skeleton structure: CF2-CF2 meaning, The first C is bonded to two F's and the second C. In addition, the second C is bonded to two F's. Write the Lewis structure for CH2CHCCH How many single bonds are there? How many double bonds are there in CH2CHCCH? How many triple bonds are there in CH2CHCCH? Is the following Lewis structure correct for CH2CHOCOOH? Check all that apply. a. Yes, because there is the right number of valence electrons and all formal charges are zero (or equivalently all C have 4 bonds, and all oxygen have 2 bonds). b. No, because the formal charge on one of the C is -1.
c. No, because the formal charge on one of the O is +1. d. No, because the formal charge on one of the O is -1.
e. No, because the formal charge on one of the C is +1. f. No, because the total number of valence electrons is wrong. Is the following Lewis structure correct for CH2CHOCOOH? Formal charge on elements are equal to zero similar to the formula. d. No, because the formal charge on at least one of the O is -1. Which of the following molecules has the most polar bond: O2, BrCl, or ICl? The greater the difference in electronegativity, the greater the bond polarity. There are two equivalent resonance structures for CHOO- (all atoms bonded to C). How many valence electrons are there? Remember all C and O atoms obey the octet rule. Describe the carbon-oxygen bonds in CHOO-. a. The two bonds are the same. Each is stronger than a single carbon-oxygen bond, but weaker than a carbon-oxygen double bond. The bond length is shorter than a single carbon-oxygen bond, but longer than a carbon-oxygen double bond. b. Each carbon-oxygen bond rapidly switches between a single and a double bond. c. Both carbon-oxygen bonds are single bonds. d. Both carbon-oxygen bonds are double bonds. e. One carbon-oxygen bond is a single bond. The other is a double. The resonance structures obey the octet rule (except H which has 2 electrons like He). With respect to either resonnace structure, which of the atoms have a formal charge of 0 in CHOO-? What is the sum of the formal charges on the H, C, and 2 O atoms in CHOO-? The sum of charge is equal to the formula's overall charge which in this case is -1. How many valence electrons are in HONO (H-O-N-O). Draw two resonance structures for HONO. In the more important structure, which of the atoms have a formal charge of 0? Remember all N and O atoms obey the octet rule. d. The O bonded to the H and N.
The best structure is the one that corresponds to the overall charge of the compound. In the less important resonance structure for HONO, which of the atoms have a formal charge of 0? How many valence electrons are there in ClO3OH (Cl is the central atom--each O is bonded to it. The H is bonded to one of the O's)? For ClO3OH, write a resonance structure with the octet rule satisfied for the central atom and a second resonance structure that minimizes formal charges. In the one that satisfies the octet rule, which atoms have a formal charge of zero? c. The 3 equilvalent O.
d. The O bonded to the H.
In the one that satisfies the octet rule, what is the formal charge of the chlorine? In the one that minimizes formal charges, which atoms have a formal charge of zero? By the way, the one that minimizes formal charge is expected to be the more important resonance structure. 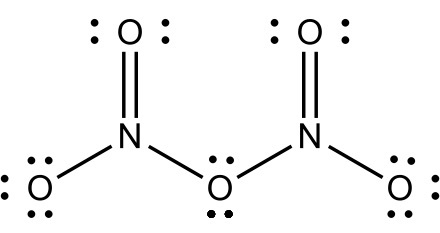 In the one that minimizes the formal charge, how many double bonds does the chlorine atom make? In the gas phase, the oxide N2O5 has a structure with an N-O-N core,and each N bonds to two additional O atoms. In contrast, in the solid phase the stable form is an ionic solid, (NO2+)(NO3- ). How many valence electrons does N2O5 have? Draw one of the Lewis structure of the N2O5. 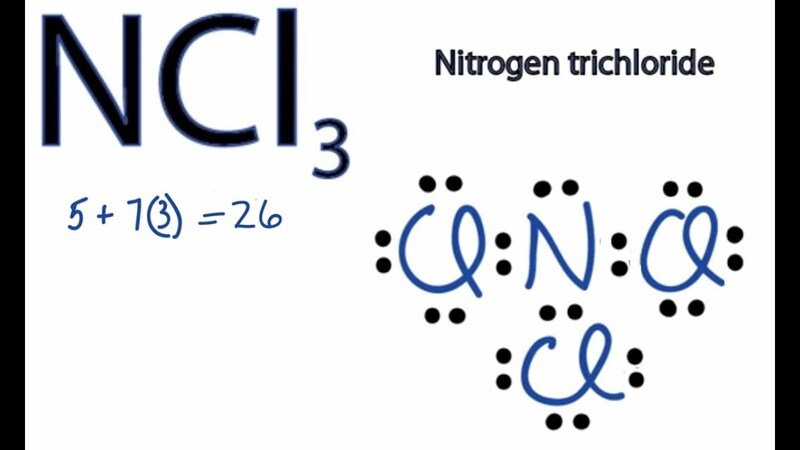 In each case one oxygen bridges the nitrogens (N-O-N single bond) and 2 other oxygens are bonded to each N. How many equivalent resonance structures are there that satisfy the octet rule and where O makes at most 2 bonds? How many double bonds does each N2O5 resonance structures have? Draw the dominant Lewis structure for NO2+. Note, that this ion is isoelectronic with CO2. How many double bonds does this resonance structures have? How many valence electrons does NO3- have? How many equivalent resonance structures does NO3- have? The reaction of XeF6 + H2O → XeOF4 + HF. Write Lewis dot structures for all the molecules. 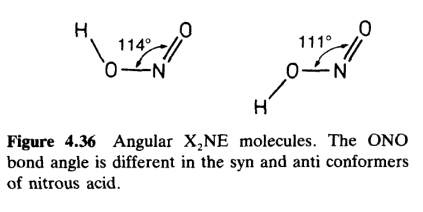 In the case of Xe containing molecules, Xe is the central atom. How many of the F atoms in XeF6 satisfy the octet rule and form one bond? 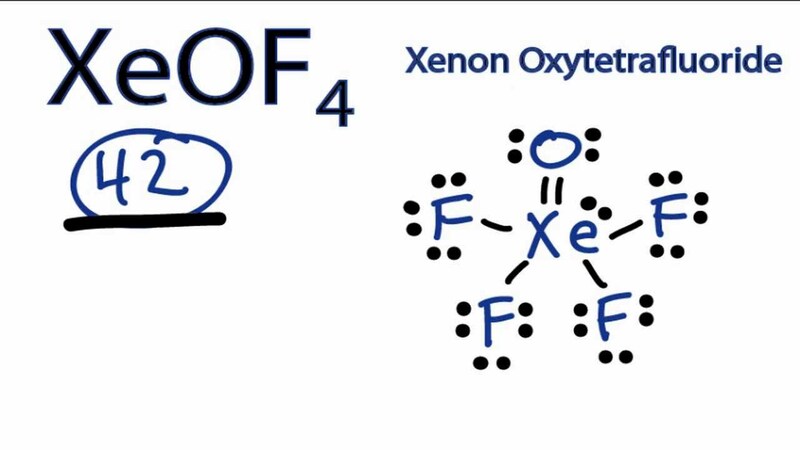 How many lone pairs of electrons does Xe have in XeF6? How many valence electrons does XeOF4? Using Table 9.4 (see below), calculate the energy (in kJ) required to break all of the bonds in 1 mole(s) of methanol (CH3OH). First calculate the per mole energy. Use Table 9.4 to calculate an approximate enthalpy or heat of reaction for the combustion of one mole of methane gas (CH4) to form gaseous H2O and CO2. What Volume (in L) of methane is needed to produce 3098 kJ of heat for methane gas at 31 oC and 7.89 atm pressure? Substitute these value in above equation. What molecular compound is expected to be form from nitrogen and chlorine based on Lewis structures.. For NxCly, what is x+y?